The 2018 Spring Fling will be held Friday, May 4, from 3 to 9 p.m. at Comet Field. The event will include food and refreshments, entertainment, a hot dog-eating contest, games, fireworks and several inflatables. Participants this year can purchase a wristband for $15 for unlimited use of the inflatables. Wristbands will be discounted to $10 for additional members of the same family. Inflatables will include a 60-foot obstacle course, Boulder Dash, Bouncy Boxing, Gladiator Jousting, a bungee interactive experience and others. Returning this year is the “Ice Pool of Terror” and fireworks by Schaefer Fireworks, scheduled to begin at 9 p.m. Admission is free, but fees are charged for games and inflatables. Held each spring for more than 20 years, Spring Fling helps raise funds and awareness for Penn Manor School District student organizations and charitable groups. More than 160 Penn Manor High School students organize and run the event. In the event of rain, Spring Fling will be moved to the Penn Manor High School campus. Thank you to our event sponsors, Rhoads Energy and White Family Dental! 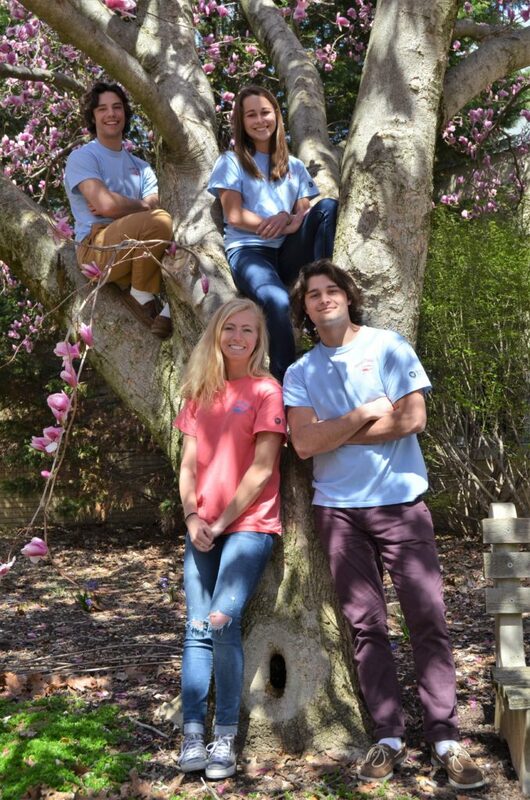 Enjoying a taste of spring are Spring Fling student coordinators Josh Heckman and Emma DeBerdine (in tree) and Hannah Brown and Cole Heckaman.